Sixteen companies are competing to land robots on the moon before the end of next year. If you want to send something to the moon, the first thing you have to do is get through bureaucracy. Lots of it. That's what Moon Express Inc. is in the midst of right now. It intends to send a robot to the moon next fall. "It's called MX-1E, and it's a very small lander. Think of it as probably the size of a washing machine," says Naveen Jain, one of the company's founders. The lander is supposed to hop like a bunny across the surface of the moon and ... well, it's unclear exactly what it's supposed to do there. But Jain, a former Silicon Valley entrepreneur, is overflowing with business ideas. He wants to harvest resources like Helium-3, deliver people's ashes to the moon or, at the very least, revolutionize the wedding industry. "Here's my approach: When we bring the moon rocks, we change the whole foundation of engagement rings. If you love her enough, you give her the moon," says Jain. "I don't know why diamond is the symbol of love." 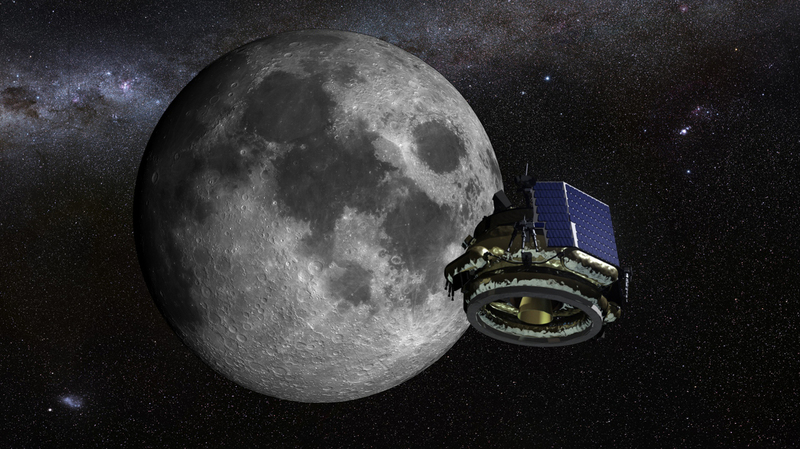 Moon Express recently cleared one bureaucratic hurdle, called "payload review." It means that the Federal Aviation Administration has approved the robot to leave the planet. But it hasn't cleared the rocket that would actually carry the vehicle to the moon or the launch itself. That would require a launch license. "This is more symbolic than substantive," says John Logsdon, a space policy specialist and professor emeritus at George Washington University. 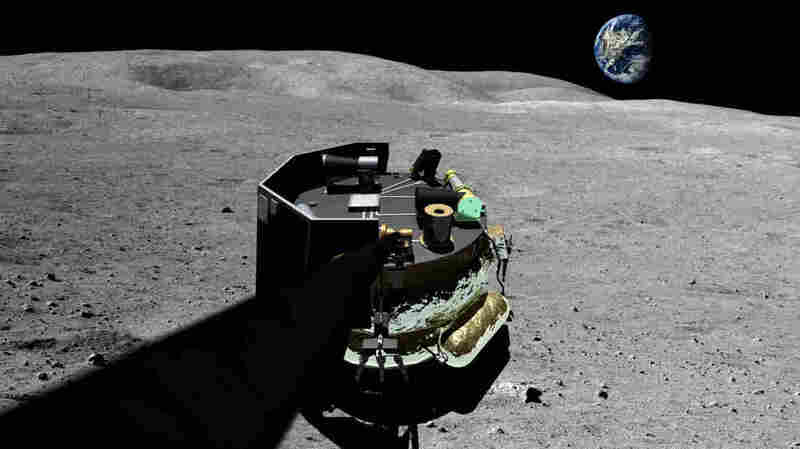 An illustration of the company's landing vehicle on the surface of the moon. Logsdon says this is the first time the FAA has cleared equipment from a private company to leave Earth with the moon as its intended destination. "It symbolizes the government's willingness to allow private companies to begin the exploration of the solar system," he says. "The expansion of the Earth's economy into the solar system is going to be done by the private sector. So, if there is the potential for that future expansion, it's going to be led by the private sector, and this one act is the first symbolic permission to go try." The company still has a long way to go before it actually sends anything into space. It's just one of 16 companies gunning for a $20 million prize from Google to put a vehicle on the moon by the end of next year. To date, only world superpowers have landed on the moon — the U.S., the Soviet Union and China. And what if Moon Express or one of its competitors does make it to the moon? "It's not clear what the jurisdiction is beyond going up and coming down," says Joanne Irene Gabrynowicz, a space law expert at the University of Mississippi. "It's the first time these questions have an opportunity to be raised." There are things a company wouldn't be allowed to do, based on the 1967 Outer Space Treaty. "They can't appropriate territory, they can't cause harmful interference for other space activities, and of course what that means is going to depend on a case-by-case basis. So, there's still room for interpretation," she says. But at the least, should Jain and his colleagues ever succeed in landing on the moon, under a recent U.S. law, they would be able to own and sell any moon rocks they bring back.